Coming to Kindle Unlimited for the first time this summer!!! Do you love romance fiction? Do romance novels sweep you away to another world where you sip sweet drinks while you curl your toes in the sand and listen to the soft ocean breeze blow by? Do you rush into the fray of a medieval battle with the same fervor that you might devour romance novels by the dozen over the course of a single weekend? Whatever romance novels do to you, most romance fans can agree on one thing. It’s all about the love story! The stories you’ll find here, whether romance fiction, romance novels, lesbian fiction novels, or lesbian romance, are all about the love stories and the adventures surrounding two people falling in love. You can find Marjorie’s lesbian ebooks and other romance novels under the Books tab (pointing up). You’ll also find her romance novels under the others names listed there, depending upon the genre you like to read. The pen names do not divide romance novels from lesbian romance novels, however, because she is a firm believer in the love-is-love concept. The pen names divide paranormal from non-paranormal and those grown-up books we were just talking about from the safe-for-work variety. We invite you to check each one and discover the stories you like to find in your romance novels, regardless of whether you're on the hunt for lesbian fiction novels, lesbian or straight romance novels, lesbian ebooks on Kindle or just plain great books about great love stories. Thank you for dropping by my website. I hope you find something wonderful to wile away a few hours. I'm hard at work creating a brand new series of books, spinning off from the Lesbian Romance Heartland series. You can find out more about that series by clicking the Fairchild's Enforcers box, below. In the meantime, I thank you again for looking over my titles, and don't forget to sign up for the newsletter so we can let you know when something new hits the shelves. Dance in My Heart - Available in Audio! You can find the audiobook here, but don't forget it is also available in ebook and print format. To find out more, visit Marjorie's Page, here. 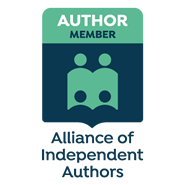 Click here to find out more about self-publishing your books with all the benefits of a publisher behind you; Indie Artist Press. Sign Up For Special Offers and Prizes via Email!